Butterflies | Mrs. Anton's Class! We have been working on a mini unit on life cycles. We started with frogs and are now moving on to butterflies. My husband always says they should be called flutterbies. I started looking around for apps that would relate to frogs. I found a really cute app based on the Mercer Mayer book Where is My Frog! It is a neat little app that allows the user to have the story read to you or the option of reading it yourself. I like that it highlights the words that are being read too. Like most of the iPad story apps there are “hot” buttons that animate parts of the screen. I have also found a version that can be found online. I will put a link to it on the WIKI when I get a chance! We are also working on the life cycle of the butterfly. 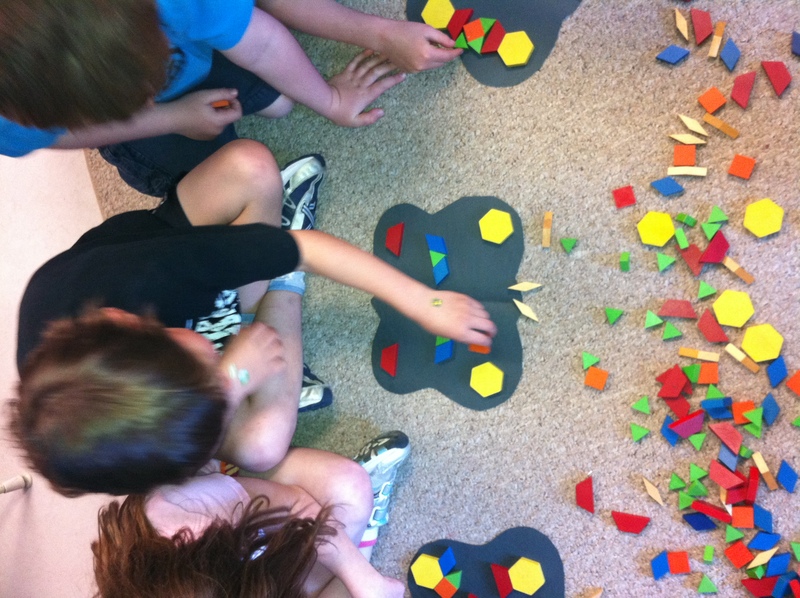 Today we started adding some math to our study by looking at symmetry. Butterflies are awesome examples of symmetry. It is fun to put math, science, and art together! TMF! 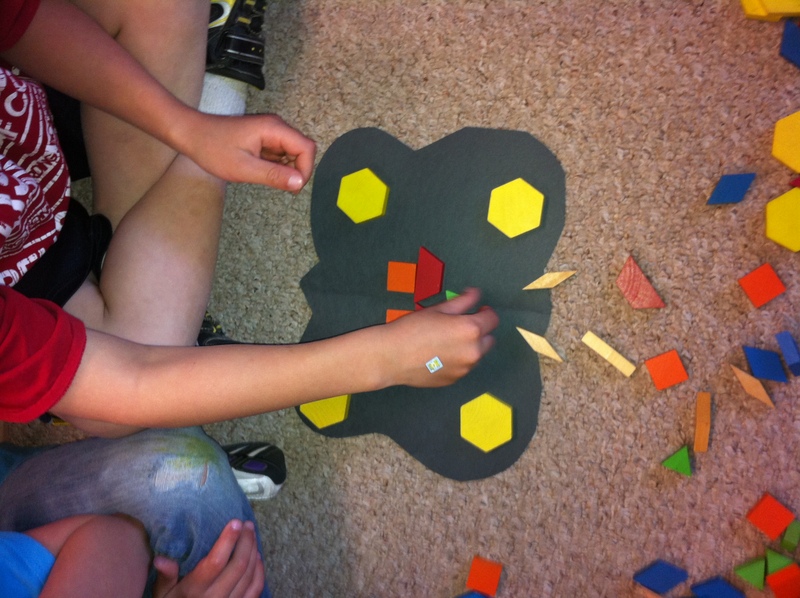 The children worked in partners taking turns putting pattern blocks on each side of the butterfly. One partner got to be “the boss” and put a block on one wing. The other partner had to put the same block on the other side to make both sides symmetrical. Then, of course, the other partner got a turn to be “the boss”!